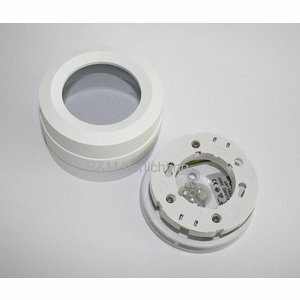 White LED ceiling or wall lamp with a clear glass. 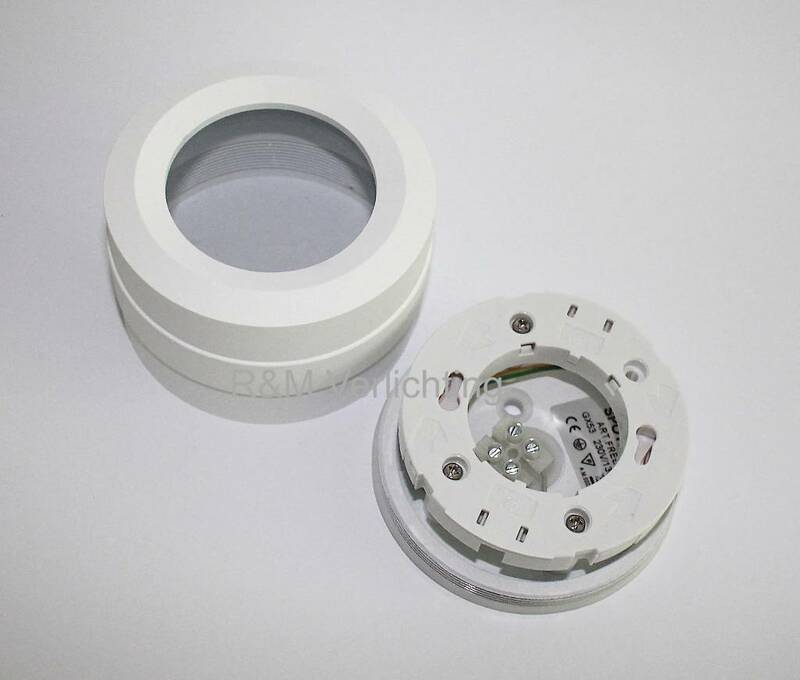 This waterproof ceiling light is IP54 / 65 and can be used in the bathroom. 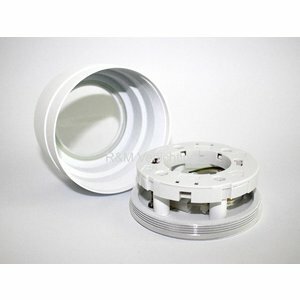 The spray watertight surface mounted spotlight is suitable for dimmable LED GX53. 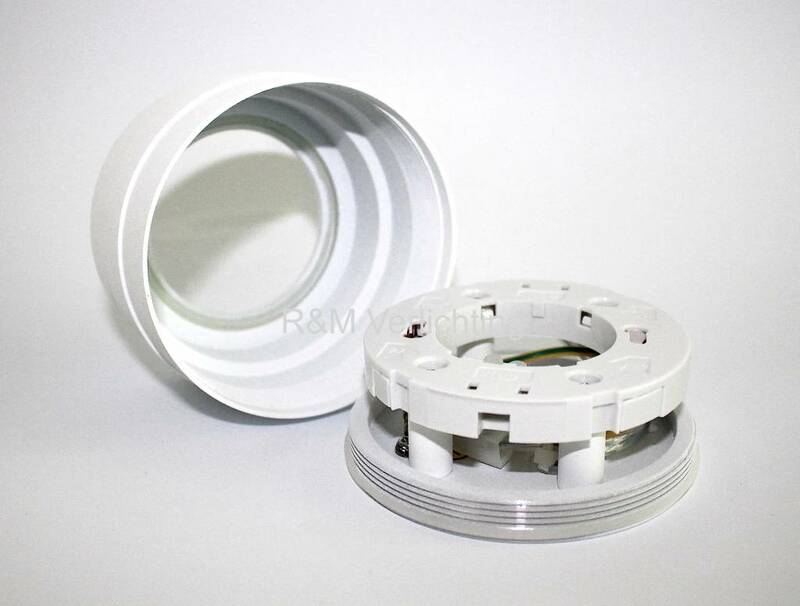 Round surface spot made of aluminum and beautifully finished in a white color. Easy to assemble and can thus be connected to 230 volts. 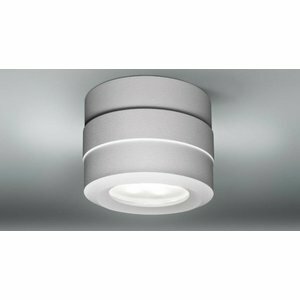 This IP65 lamp can be mounted on the ceiling and on the wall. Also suitable for the mirror in the bathroom. 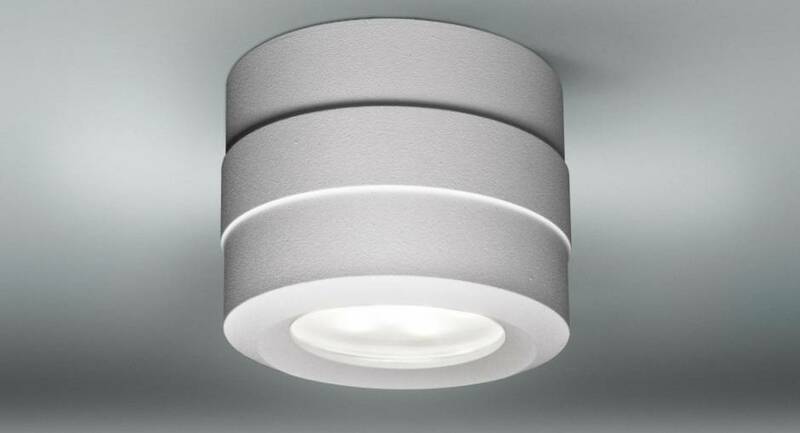 The LED surface mounted spot has a maximum wattage of 13 watts. You can use a GX53 LED light source for this fixture. A dimmable version is also available here. This fixture is supplied without a light source, you can order the light source in the selection menu.